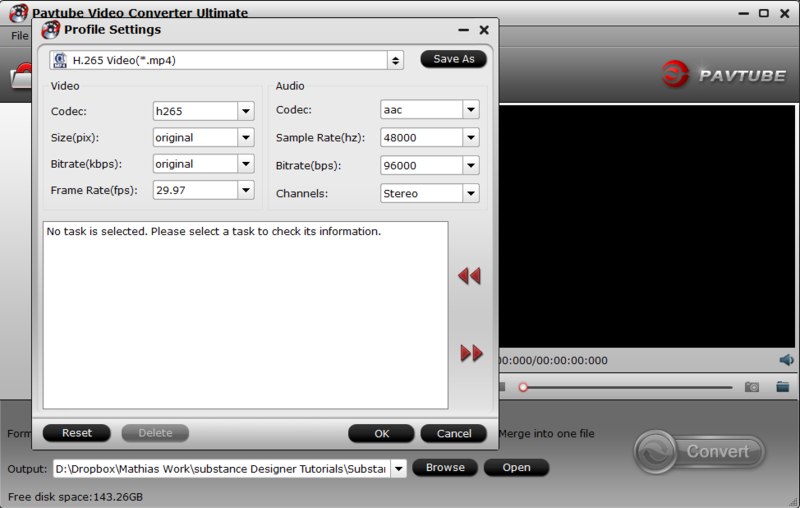 ** In Avidemux, when converting a video, what I usually do is : open the video in (the amazing) PotPlayer. 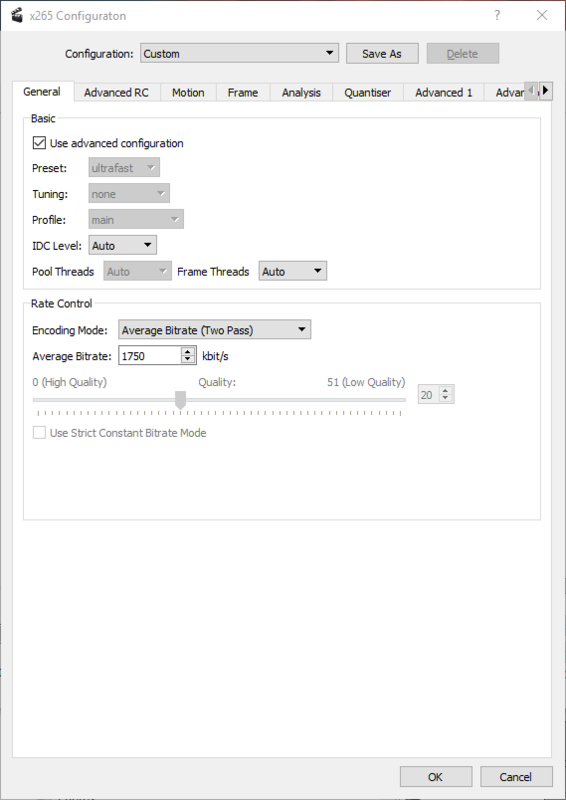 Browse through the video quickly to get visually (Ctrl+F1) an idea of the average bitrate. Then in Avidemux, in the codec configuration (x265), I choose : Rate Control / Encoding Mode : Average Bitrate (Two Pass) and I set what I "feel" is the average Bitrate manually. I manage to get excellent results after a few tests but I often feel like I'm fumbling in the dark. Especially in some videos where the Bitrate range varies a lot depending on what's on screen. ** Whereas in Pavtube (that I'd never use anymore !) there is an option, when choosing the Output codec, to define manually the Bitrate, same as Avidemux, but one can also choose as a Bitrate : "original". Which means, and it works pretty well, that Pavtube will compress the video while keeping for each frame a kbps similar to the one of the original input. Is there a way in Avidemux's Rate Control (Enconding Modes) to do something similar to this "original" Bitrate in Pavtube ? hm... no answer So I guess this cannot be done. That's fine. I'm using Pavtube to compress all the videos, it works really great using this "keep original Bitrate" option. I just feed it dozens of videos and it convert them during the night. The result is at the end perfectly similar to the original videos, but with a better codec for editing. Then I use the amazing Avidemux for cutting, trimming and what not. Is there a reason for re-encoding with H265 and with the original bit rate? Won't improve picture quality as this is a lossy process. Won't change the file size as you maintain the original bitrate (not taking advantage of the HEVC codec). H265 is an even more complicated codec and AFAIK would increase the difficulty in editing. Uses a codec that is not well established yet.